The Nonjetable Bookcase Recto-verso is a lovely bookcase in whitened birch plywood with a secret artistic twist – the back panels are white surfaces that your child may draw on with felt-tip pens, then wipe clean with a cloth to start all over again. 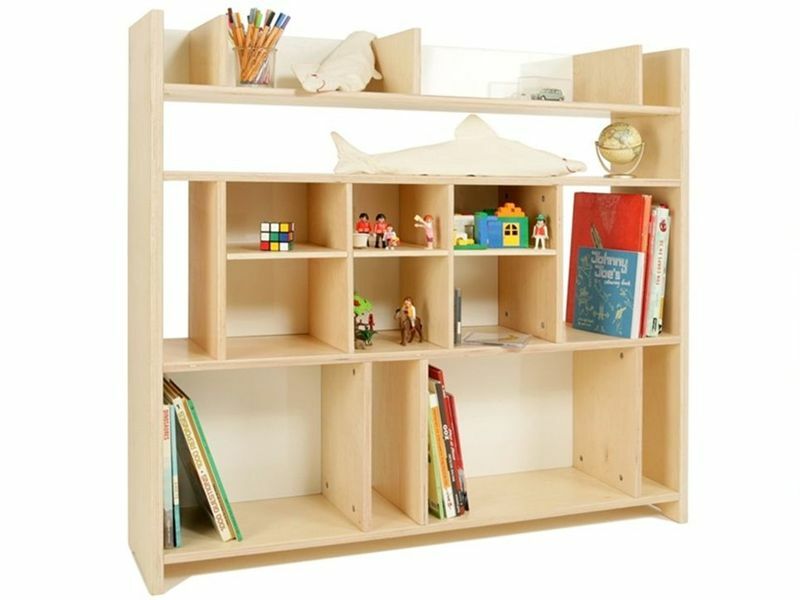 Since this bookcase is double sided, it’s the perfect room divider for kids who share a room. In a smaller home, this bookcase could also help divide a home’s main living space into two distinct spaces – an adult side and a playroom side. The varied size spaces allow your family to hold books and other objects of various sizes within the different compartments and also adds an aesthetically-pleasing, unique quality to the design. This is definitely not your typical boring bookcase, and it matches the Nonjetable Adaptable Bed in Birch.